• Will support up to 200 lbs. 12 student pack or our 24 student pack. 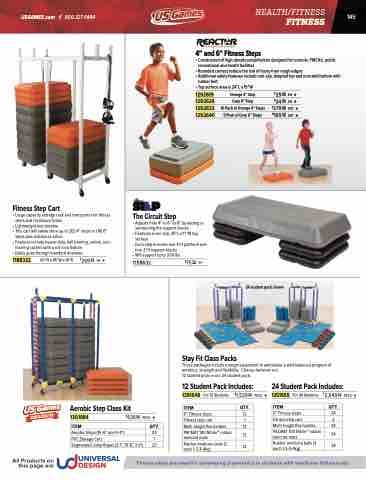 1251548 For 12 Students $1,529 99 PACK H ITEM QTY. Fitness steps are ideal for developing plyometrics in students with vestibular deficiencies.